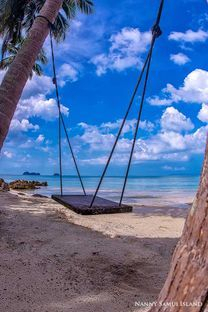 Koh Samui is tropical island. This means high temperatures and high humidity. Make sure your children are ready for this. Give them enough to drink and more important give them a good sun cream to protect from the sun. Or let them wear a Rash guard. These are the best against the sun and also good for the environment. But more of all, Koh Samui is an island of fun. Swimming and playing on the beach. And all kind of tours around Samui are possible. 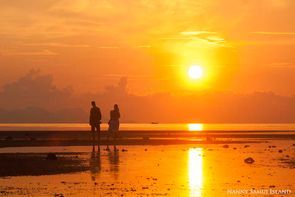 Koh Samui has great sunsets and the nightlife in Chaweng and Lamai is great. Many restaurants and bars are waiting for you to pay a visit. A very useful tip. Please rent a car for your stay on the island. The roads in Thailand are prone for accidents and the use of motorbikes is not recommended by us. The safety of a car is much higher and it also provides air-conditioning which is very welcome on hot days. Also many trips around Samui are available. Just ask us and we can help you making a right decision. One thing though, We are not fore-stander of riding Elephants. The abuse and the treatment which the animals are going through is very cruel for the animals. But there are many other possibilities. 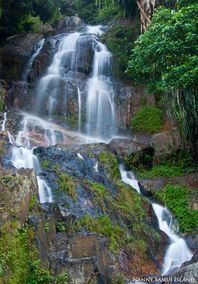 Like jungle rides or go to one of the amazing waterfalls on Koh Samui. There are many hidden in the mountains. If you are a diver and want to make a day trip for diving then please contact us. There are some great diving spots on a boats ride distance from the island. For any assistance for booking trips please contact us and we will help you further.